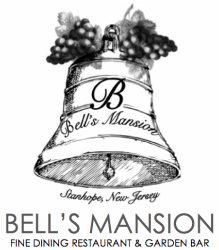 GIVE INTO YOUR CRAVINGS AND DINE AT BELL'S MANSION. BREAK BREAD WITH US AT YOUR TABLE & ENJOY EVERY DETAIL OF YOUR EXPERIENCE. OUR MENU ITEMS ARE SEASONAL, FRESH, AND HOMEMADE WITH LOVE. We will do our best to accommodate allergy restrictions, however we kindly decline menu substitutions.